My disdain for most so-called horror movies is by now well known. I can sit through most horror movies and never flinch or blink. The first time I saw “The Texas Chainsaw Massacre” during it’s original theatrical run my friends had to tell me to shut up because I thought the movie was a spoof and I was laughing out loud. The “Friday The 13th” movies are just dumb. Except for the first one that actually was a nifty little slasher flick. I can watch the “Nightmare on Elm Street” and the “Phantasm” movies they same way I read comic books or watch animated movies. They’re fun to watch. But scary? Nah. “The Blair Witch Project”? Don’t make me laugh. I’ve been to Chinese take out places in Brooklyn that are scarier. “Open Water”? You must really be joking. Movies that scare me are movies that might actually happen to me. Take the “Out-Of-Towners” which is supposedly a comedy. But you watch Jack Lemmon and Sandy Dennis who are stuck in New York during a horrendous garbage strike. Everything goes wrong including their hotel losing their reservation, their luggage being lost and they get robbed and are forced to sleep in Central Park, searching for their dinner from garbage cans. By the time you get to the end of the movie you may be wondering what the hell you were laughing at. Or how about “In Cold Blood” with Robert Blake and Scott Wilson who choose a family at random to murder. Or “Whatever Happened to Baby Jane?” where Joan Crawford is an invalid in a wheelchair terrorized by her crazed, alcoholic sister played by Bette Davis. Or “Deliverance” where a group of city guys go canoeing down a river and end up in a life or death struggle with a gang of backwoods hillbillies. I think by now you get my point as to what I consider a real horror movie. My answer with no hesitation is THE NIGHT OF THE HUNTER. Harry Powell (Robert Mitchum) is sharing a cell with a condemned man doomed to hang (Peter Graves) In a moment of weakness the doomed man confides to Harry that he’s hidden $10,000 dollars in his house. When Harry is released he takes the guise of a wandering preacher and makes his way to the man’s hometown. Harry quickly ingratiates himself into the community and even romances the man’s widow, Willa (Shelly Winters). Willa’s two children John (Billy Chapin) and Pearl (Sally Jane Bruce) don’t trust the preacher one little inch. The children know where the money is and they’re both determined not to let the preacher get his hands on it. They clearly see him for what he is. Harry marries Willa and ruthlessly murders her in one of the most blood-freezing scenes I’ve ever seen in a movie that is all the more shocking in that Willa appears to be a willing participant in her own murder. And if that wasn’t hair-raising enough, there’s a scene where it’s shown what Harry does with her body that I won’t dare spoil here. It’s a scene that truly has to be seen to be believed. John and Pearl go on the run down the river but Harry Powell relentlessly follows them, a nightmarish figure on a horse that is as patient as Death itself. 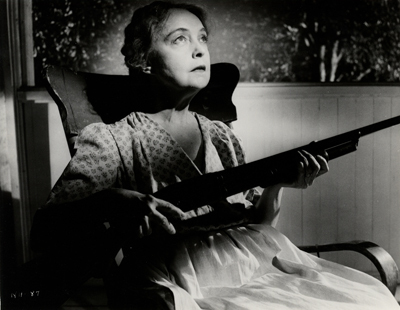 The two children are eventually taken in by an old woman (Lillian Gish) whose faith in God and a loaded shotgun is unshakeable. The movie comes down to a battle in an isolated farmhouse between these avatars of Good and Evil not just for the money but also for the souls of the children. 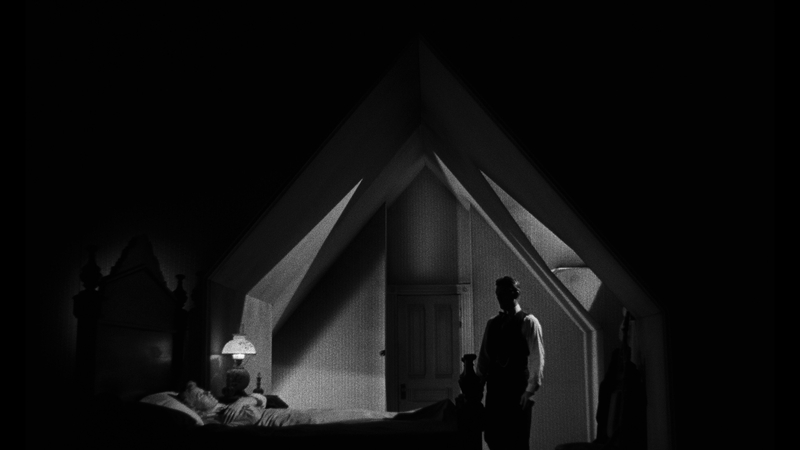 Part of the reason why THE NIGHT OF THE HUNTER is so frightening to me is the way it’s filmed. This was the only movie directed by Charles Laughton and he borrowed heavily from German Expressionism to create a dream-like world. Considering that the main characters are children, it’s an appropriate way to tell the story since it can be looked on as a child’s nightmare. It’s not a realistic movie as the sets actually do look like sets and the inside of houses are stylized with strange angles. But it works. It creates its own world that you buy into because it may remind you of your own dreams. It’s a wonderfully fascinating film just to look at with some truly frightening moments. Robert Mitchum is not just a great actor. He’s a titanic actor and his role as Reverend Harry Powell is one of the finest he’s ever played. He’s got a classic scene where he explains why he has the words ‘Love’ and ‘Hate’ tattooed on his hands. The scene where he murders Willa is almost unbearable to watch. And when you get to the last half of the movie where he’s terrorizing the children and the old woman at their isolated farmhouse I defy you not to want to hide under the covers. And there’s a scene where John and Pearl are hiding in a dark basement and Harry is at the top of the stairs and calling down to them: “Chiiiiiilllllll….dren?” that has been copied thousands of times in inferior movies. Shelly Winters is very good in her role here in this movie. She always did do a good job of playing sexually repressed woman who seem just two steps away from exploding into orgasms. And it doesn’t hurt that back during the 50’s she truly was smokin’ hot. I think that many of today’s moviegoers are only familiar with her films from the 70’s and 80’s. Take a look at the movies she did in the 50’s and 60’s and you’ll see why Shelly Winters was considered a blond bombshell comparable to Marilyn Monroe and Jane Mansfield. Lillian Gish does a terrific job as Rachel Cooper, the old woman who takes in John and Pearl. Despite her age she’s a formidable opponent and there’s a wonderful scene where Harry is sitting on his horse out in the field and Rachel is sitting on her porch in her rocking chair with her loaded shotgun across her lap. Both of them are quietly singing the same hymn. It’s a powerful scene. 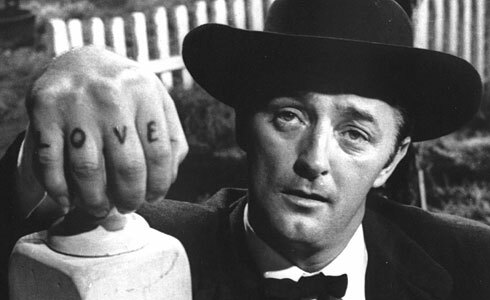 So should you see THE NIGHT OF THE HUNTER? Absolutely. Netflix, buy, borrow or steal the DVD or Blu-Ray. I don’t care. 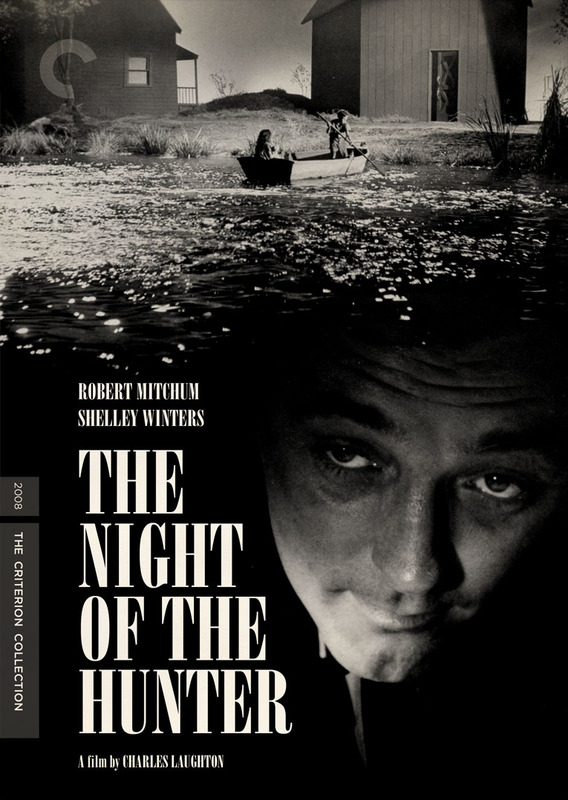 THE NIGHT OF THE HUNTER is a movie I’ve seen maybe a dozen times and every time it still scares me. And if you want to be truly scared outta your wits, turn out all the lights in your house or apartment and watch THE NIGHT OF THE HUNTER. Great movie and the DVD I have of it is a cherished possession. However, Harry doesn’t kill Willa on their wedding night. That comes, chillingly, later. I tend to agree. Also about BABY JANE, one helluva scary film. And you’re right…THE OUT-OF-TOWNERS, for all its comedy, does have a grim hidden side. No wonder the two protagonists, at the end…nope, don’t wanna spoil it.